I have to outsource a job, but with a different service (e.g. a translation and a revision). How can I do that? You can easily create a job with one service and outsource it with another service. Let's say you have a translation job (that you will do yourself) and that you would like to outsource the revision to a supplier. And of course, your final client doesn't have to see the revision job on the invoice you will send him, just the translation. First of all, you have to create your translation job, as you would do for any other job. Then, to create the revision, you have to duplicate the job using the Duplicate button in the job. 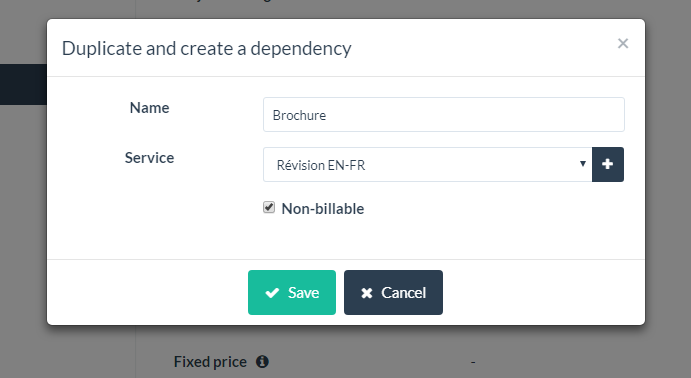 As we want the revision to be a "dependency" of the "main" job (the translation that will be invoiced to your client), you have to select the "Duplicate and create a dependency" option when duplicating the job. 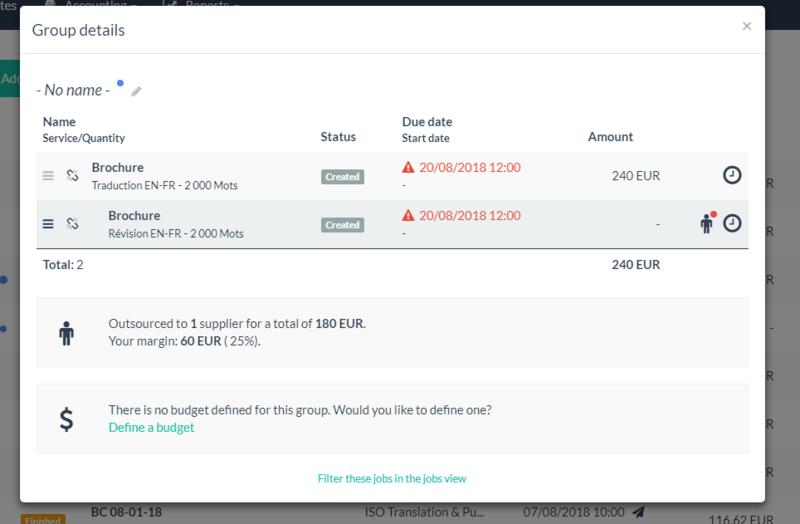 You then change the service for the job (the duplicated job has to be a revision, an not a translation) and you define this duplicated job as "non-billable". You now have your two jobs, the translation and the revision, in the same group. The revision, as we said, has to be outsourced to a supplier. In the revision job, click on the Outsourcing tab on the left. 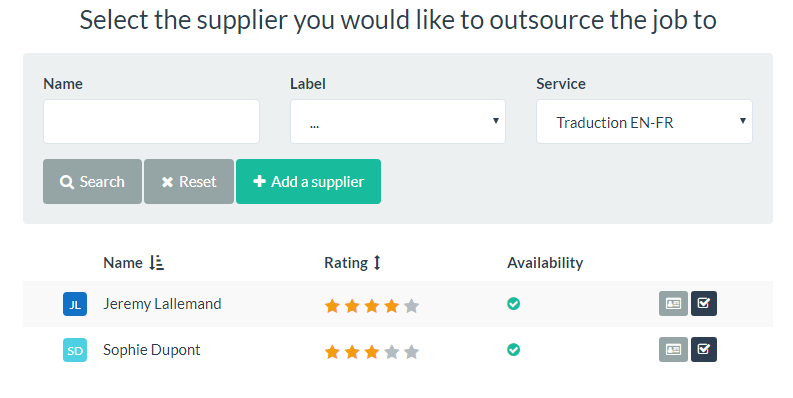 Select the right supplier and click on the button at the end of the line to outsource the job to him. And that's it, the translation will be done by you, the revision is outsourced to a supplier and, as this job is defined as "non-billable", your client won't see it on his invoice.